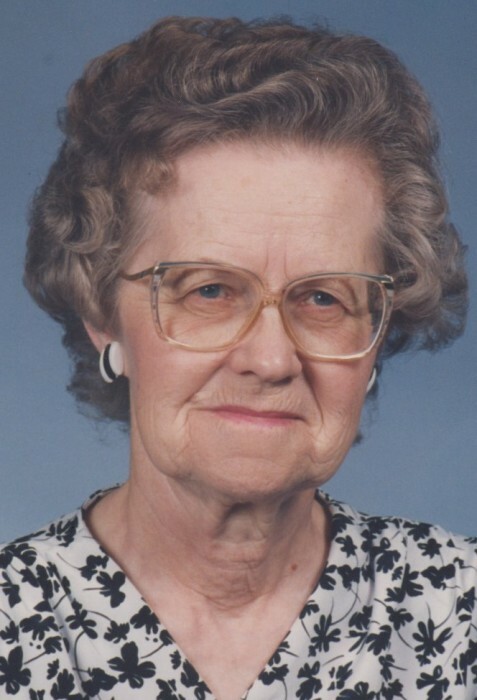 On April 12, 1921 Doris was born to Fred and Elizabeth Thurnau of Riverton, Nebraska. She was the second girl born to them, Alma, Doris, Gladys, Loretta and an infant daughter that died shortly after being born. She and her sisters grew up on a farm and in a country school. Later Doris worked as a receptionist for a funeral director in Campbell, Nebraska. She attended college for one summer to become a country school teacher. Doris taught for a couple of years then met her husband Leon E. Ruhs. They got married on May 21, 1942 and had one daughter in Campbell, Nebraska named Treva Ann. She and Leon ran an egg and milk store there and later a grocery store in Sutton, Nebraska. They then moved to Hastings, Nebraska and lived there for about 30 years. Doris worked for Ray Feed and Produce until it closed, then worked at Hycke Grain elevators as a book keeper and lastly at Gucat Plains Chrysler Dealer as an accountant. She moved to Loveland, Colorado to be closer to her daughter and grandchildren. While in Loveland she volunteered and worked at Agapeland Christian Book and Gift Store. Doris went to Windsor Health Care and lived there several years. She is survived by daughter Treva and her husband Wesley Janssen, her sister Loretta, grandchildren Droxsan, Bryce, Shaun, two great grandchildren Wyatt and Rogan Williams and many Nieces and Nephews. Services were held at Immanuel Lutheran Church and funeral services will be held in Hastings, Nebraska.